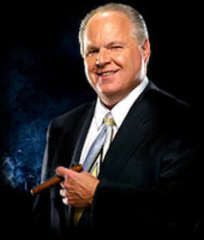 On today’s Rush Limbaugh program, January 28, 2009, Rush predicted that it wouldn’t be long until the Democrats, who are struggling to silence him, would be claiming how well their efforts are doing. When Rush Limbaugh's 'ditto heads' get angry enough to flood our website and phone lines with comments about the message you sent to them, you know we're doing something right. Less than 24 hours after we alerted you to Rush Limbaugh's anti-American comments saying that he 'hopes' President Obama fails, more than 20,000 of you responded by signing our petition. Then last night, tens of thousands of Limbaugh's 'ditto heads' responded by calling us everything from socialists to Nazis and many worse things we can't repeat. These are the same people that championed George Bush's failed policies that created the economic mess we're in and that President Obama is now fighting to repair. Rush Limbaugh wanted a fight with you and he got one. Show Limbaugh that Americans - regardless of ideology - hope that President Obama succeeds in getting people back to work and turning our economy around. 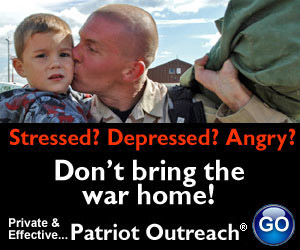 Send our Rush Limbaugh Petition and Video to as many friends and family as possible. "Nothing can stand in the way of the power of millions of voices calling for change." Make this statement a reality by asking everyone you know to watch this video at http://www.dccc.org/tellrush and join the movement that finally breaks the back of Rush Limbaugh-style politics. I guess “nothing can stand in the way of millions of voice calling for change,” except millions of people who desire to keep their liberty and freedoms contained in our constitution. Of course, El Rushbo is a loud voice in our fight to remain free, so of course he becomes target one. Note too, the voice of hypocrites in this DCCC email. They call for “an end to Rush Limbaugh style politics,” but never say a word about Keith Olberman, Al Franken, Randi Rhodes, or any other vitriolic leftist who worked diligently to cause President Bush to fail and undermined the War on Terror. Don’t fall for this effort at stripping first Rush Limbaugh of his first amendment right, then ours next. It is time we stood up to the Socialist Demokratik Politburo and let them know we have the same freedom of speech they exercised over the last 8 years. After all, wasn’t it them who kept saying dissent is the truest form or patriotism? They're plan is to silence dissent. We need to fight this to the end. Of course, as has been said, this is a not too subtle take over of America by Socialist/Communist ideology. It was also Hillary who, when campaigning against homey said that the public looking at politicians cynically "is sort of the American birthright." You are right, the so called 'fairness doctrine' is not about fairness, but stifling free speech when it is opposing the left.